Black Friday photography deals comes the same time every year and even I forget to wait. Though I’m not one for giving deals and discounts to my own customers, large corporations are a different business model. Waiting for a Black Friday deal for photographers and solopreneurs is just smart. Black Friday and Cyber Monday is when I take advantage of pre-paying for more time on my monthly subscriptions or finally upgrade my gear, storage, whatever. Heck, I’ve even taken advantage of cheap flights too! However, sometimes I just forget. Like a few weeks ago when I bought a whole bunch of domain names and totally spaced on waiting until Cyber Monday to see if SiteGround was having a sale. This year, I’m keeping my eyes peeled for stuff I know will either increase my efficiency or easily earn me more money. Saving money on stuff I already use counts. From Computer storage to our professional photo labs, everything is on sale now. Today, I share some of my favorite products that I use in my photography business and walk you through the best Black Friday deals for Photographers. This post contains my affiliate links for business services that I personally use. Using my links enables me to earn income to support this blog. Personally, I’ve dipped my toes into Facebook ads a few times, never with any success. The Art of 6 Figures is an in-depth course for photographers who want to crush their business with new quality leads using highly targeted Facebook ads. It’s really amazing the success I’m seeing from those photographers using this program. Easton is so helpful and even personally looks at your ad BEFORE you launch so you don’t waste any money! Zero others will go to that level of service to ensure your success. An option to add 4 weeks group coaching with Easton for only $97 to help you launch your ads. You will connect as a group once a week for 1-hour to screen share and allow Easton to guide you through the process. This is your chance to see what 683 photographers are raving about! Learn how to harness everyday spending for cheap or free travel! 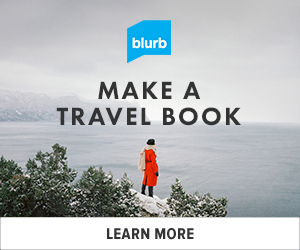 BLACK FRIDAY SAVINGS for New Customers: 50% Off Photo Books with code BLACKFRIDAYFIFTY at Blurb! *Offer valid through November 27, 2018 (11:59 p.m. local time). Valid only for photo books uploaded to and purchased through your own account. A 50% discount is applied toward your product total with no minimum or maximum order amount. This offer is good for five uses, and cannot be used for digital purchases or combined with volume discounts, custom orders, other promotional codes, gift cards, or used for adjustments on previous orders. This year, I’m helping my aunt create a beautiful book from our big family reunion, using Blurb. Sale Dates: November 22 – 29th. JPEG Mini Software is having a Black Friday sale in 2018 for 25% off. I personally use this software and LOVE it. This is not an affiliate link, so click away and save precious hard drive space. JPEG MINI reduces file sizes without losing any image quality. It’s a game changer. I love that ever singe image that I export out of Lightroom is already smushed thanks to JPEG mini. This software allows you to save space on your drives, load images faster on your website, and so much more. They even had me write a guest blog post for them on pricing for photographers! Offer: Up to 60% off plans when you pre-pay. Sale Dates: November 22 – 26th. Tave is the client management system that I use and is not only for photographers, but any wedding vendor or small business. The web-based software tracks leads, expenses, profit, job workflows, and even automates your client communications. My clients can send me an inquiry via the online form, and within minutes book me as their wedding photographer by accepting a quote, signing the contract, and paying the retainer. Shootproof is my web gallery of choice for hosting client images for sale online. The software is a great starter software for any photographer because they are so much more than just web galleries! Each Black Friday, they have discounts when you upgrade your plan. So, I’d start with something smaller than what you need and upgrade when they have a sale. Unfortunately, they don’t have Black Friday deals when you want to downgrade (though they will give you a rebate for the difference). What about getting a whole new photography website this winter while business is slow? Recently, I completely redid my ENTIRE McKay’s Photography website from scratch. Google was killing me and there were over 10 years of old, weirdly formatted blog posts. The last theme I purchased just destroyed my SEO and my business. 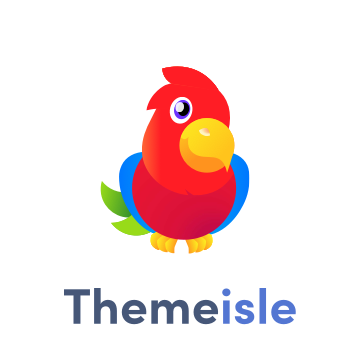 It was a huge mistake to use Flothemes and I do not recommend them. 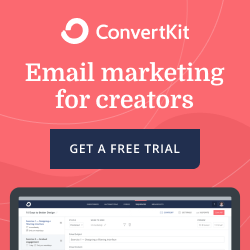 My website was a hot mess and did not convert leads into clients. Now, thanks to SiteGround, Themisle, Elementor website builder, and a local website guru, I have a website that looks and feels like my brand and me. I love it so much. Recently, I switched from Bluehost and InMotion to Siteground and I’m SO much happier. The transition was easy, as they migrate your site for free and setup/install WordPress. Now, all of my websites are hosted with Siteground. They have recently launched a unique WordPress Аuto-Migrator. Around 3,000 WordPress websites are transferred seamlessly to Siteground‘s servers from other hosts each month with its help. Siteground encourages you to test it yourself and show how this free and elegant solution makes it possible for anybody, regardless of technical skill, to manage their own website transfers. Learn more about WordPress Migrator. The 30% discount is available just in the first year for new membership and our Agency Plans created between 23-26th of November. Though I’ve been blogging and building websites for over a decade, Elementor has blown everything open for me. –>> I’ve used other WordPress drag and drop design software before, but Elementor is the best. Not only do they add new features constantly, it actually just works. When I was using a different WordPress builder, I had to stand on one leg and pat my head while rubbing my belly to get it to work with my browser. That experience was horrible. I tried the free version of Elementor and fell in love immediately. 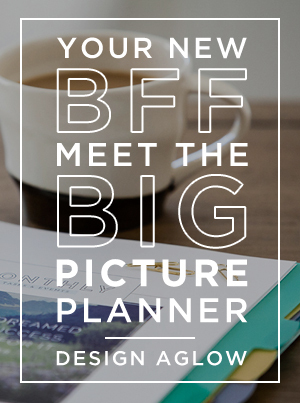 So much love in fact, that I upgraded to the pro plan so I could use it on all of my websites. This website uses Elementor and so does my photography website, which looks and feels completely different. No more need to shop endlessly for the perfect WordPress Theme if you use Elementor. Any basic theme will do (check out Astra), as you build your own site in real time. Because of my love of Elementor and my constantly talking about it to other less tech-savvy people than me, I actually reached out to them and begged to become an affiliate. So here you go… use my affiliate link and get cracking with the easiest WordPress builder on the market. Get 25% off the Pro plan! When you want to learn, and are short on cash, CreativeLive is the place to be. Over the years, I’ve watched dozens of courses live (for free), and purchased ones that changed my life and my business. The photography classes aren’t even what I’m after. My fave classes on Creative Live are the business and marketing courses. Tara Gentile, specifically, has changed EVERYTHING for me and my business. There is a free module on mapping the client journey, which is an invaluable nugget that I revisit over and over. Save 40% on SmartAlbums, SmartSlides, and All Apps Bundle. SmartAlbums is a game changer. I’ve been using this software since it was introduced and have several YouTube videos about it. Clients LOVE the simple, image-focused designs and it has saved me SO many hours of slaving in Photoshop over my wedding album designs. I literally cannot run my wedding photography business with out Smart Albums. If you are scared of offering albums and books because you think it’s time consuming, then you have to check out SmartAlbums. Drobo 5N2 Platinum – Now $599! Drobo 5N2 With 2TB – Now $559! Drobo 5N2 With 16TB – Now $919! Drobo 5N2 With 24TB – Now $1,379! Drobo 5C – Now $299! I have two Drobo hard drives in my office and could never run my my photography business without them. Hard drives crash all the time and there is no reason to leave client work to chance. With a Drobo, you can sleep soundly, knowing that all of your data and images are backed up redundantly. What does that mean? It means that if one hard drive inside the Drobo fails, you just pop it out, order a new one, replace it when it arrives, and just keep working. So what are you looking for with your Black Friday photography deals? A new camera? A new website? Added savings on software that you already use? What about spending on something that will make your photography business MORE money next year, like a business coach?! Parallax Life is having a November sale on both the Profit Amplifier Program ($100 off!) and also on monthly business coaching packages ($150 off!). So, instead of new gear, gadgets, and software that you’ll never learn or use…. hire a business coach to get your pricing in order for 2019 or that big idea out of your head and into action! –>> The best part is that you can redeem with me during the new year! Write it off of this year’s taxes and hit the ground running in 2019. What Black Friday deals are you looking forward to for photographers?? Hi! What DROBOs do you use and approximately how many files or Tbs do you save in an average year? I’ve been using eternal hard drives which is time consuming and dangerous if that external would fail. I currently save about 4Tb/yr in data and files. I love my drobos. I’ve had many external drives fail over the years before I got one. It was a nightmare ensuring everything was backed up on other drives and when I lost a drive, I wasted a week transferring the data to a new drive. With the drobo, if a drive fails, you just pop it out and replace. The drobo knows what to do. Such a relief. I have 2 drobos that are 5 bay. One has 13tb of data. Don’t remember what the older drobo has. The cool thing is that you can add newer drives and different brands.